Being a hunter and outdoorsman, I love good knives. I only wish I had the budget for a really great field knife. There are some sweet custom knives out there I see in the magazines that I would love to own someday. 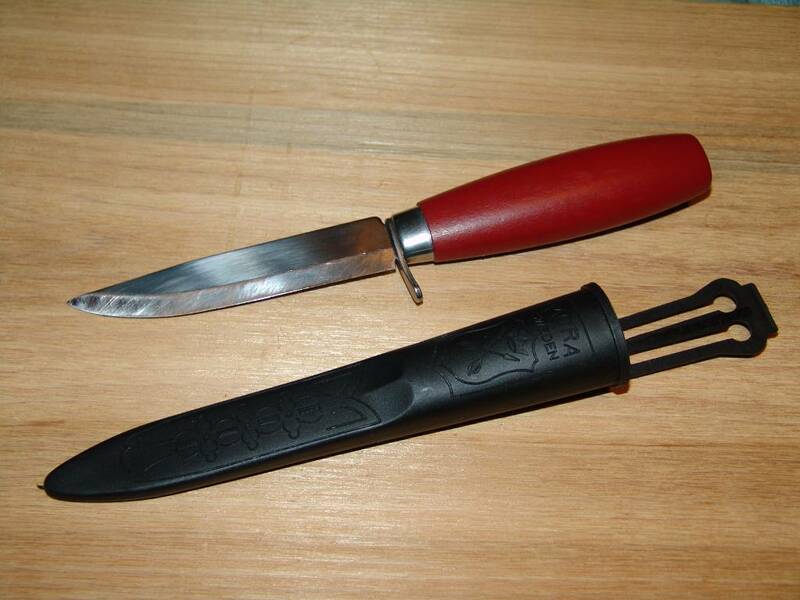 But one knife that I frequently see mentioned are those made by Mora of Sweden. Swedish steel seems to have a very strong following and their fans will tell you its some of the best steel out there. But the one differentiating thing about Mora is their affordability. But how can a good knife be so cheap? Mora has some great reviews, but I was still skeptical. That is until I saw Cody Lundin using one on Discovery’s Dual Survivor show on an episode. OK, I’ll bite. I’ll order one and see how they are. Besides, they’re cheap. If it isn’t any good, I haven’t wasted a lot of money on the thing. So I ordered the Morakniv Classic 612. From what I could tell, Cody had the Classic #2, but I liked the finger guard on the 612, just for a little more safety. I read through all the reviews and knew what to expect. Upon its arrival, I immediately checked the sharpness of the blade. Not bad. I could feel a little bit of roughness like it just needed some honing, but it went through a piece of paper OK. The first thing one notices is the difference in the bevel on the blade, it’s much wider than the short bevels of most American knives, more on this in a moment. The next thing I noticed was how good the knife felt in my hand. The handle was perfect for me. It has a great feel. The only thing I was initially disappointed in is the sheath. They aren’t giving away anything there and probably why their knives are so inexpensive, there’s nothing in that sheath. It’s made of some very thin plastic. The other noticeable thing is that the top of the knife is very rough and unfinished. Most people clean that up some, from what I’ve read. The first thing I used the knife on was the pheasant and quail from my last hunting trip. I used it to clean the birds when I got home. It did a good job, but cutting through the wing bones seemed to rough the edge up a bit more. 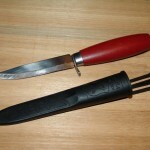 The shape of the knife blade is perfect for cleaning up small game. I don’t think it would do well on large game like deer, as the blade feels a little light for that kind of work. But I could be wrong there, we’ll have to wait and see. If you do your own butchering, it might do well for deboning. Maybe. I’ll need to ask my buddy that does his own butchering. After I finished with the birds, I took a stone to the blade. This is where that bevel really comes in handy. This was one of the easiest knives to sharpen. Since the bevel is so wide, it easily lays across the stone, making it a breeze to sharpen. And it really takes an edge. After a few passes on the stone, it went through a piece of paper like butter. Easy sharpening is a big plus for me there. So that’s the first impression. There’s some good things about it. It takes a great edge and its very affordable. The sheath is flimsy and the knife blade feels a little light for any type of heavy duty field use, but I really haven’t put it through its paces there yet. I’ll post some updates as I use this more. But really, for the price, less than $20 shipped, not sure you can really go wrong with this. 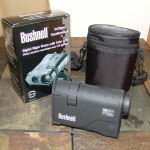 There’s a package waiting for me at home from Bushnell’s! Can’t wait to see what goodies they’ve sent me. 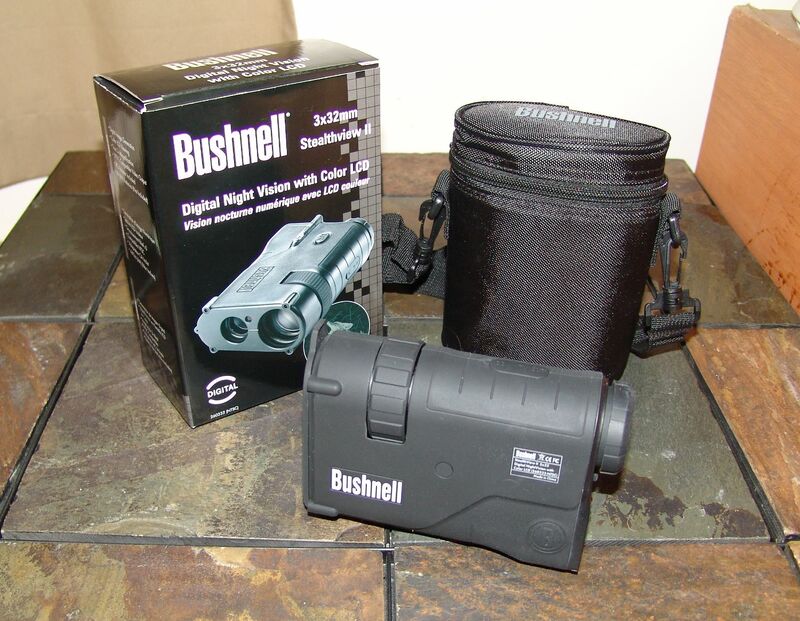 Look for a gear review soon! I’ve carried a pocket knife, of some sort, for ever. Probably over 20 years. The most recent knife that I’ve carried has been the small, Swiss Army style knife. I decided that I wanted something more traditional, besides, all I ever seemed to use was the blade anyway. So I kept my eyes open, looking for just the right one. I don’t really like tactical knives and wanted something small to fit in my pocket. I found it in a Buck Mini Trapper. It has a great look, has a nice heft in my hand. It just feels right. My only complaint, it’s made in China (much like everything these days, but that’s another post). Other than that, it’s a great knife. The first weekend I had it, I wandered around the house looking for excuses to slice open stuff with it. I couldn’t wait until the mail arrived. 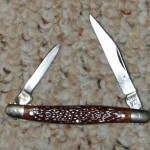 My father collects vintage pocket knives. His main criteria; it has to have USA stamped on it somewhere. He favors the old Bucks and Uncle Henry knives. He pulled out his collection to show me some of his finds he’s picked up along the way. He’s got some great old knives. He handed me an old Kabar that was my great uncle’s and told me it’s mine. Wow! I have a soft spot for Kabar as I have one of their military knives and have been jonesing for one of their hunting blades. 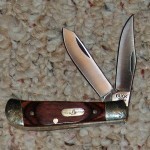 The pocket knife is in great shape and it’s almost delicate in it’s feel. It’s very slim with 2 blades. But it’s rugged, it’s survived at least 40 some years and still holds a great edge. Dad and I recently went on a scavenging trip down to a couple of small towns in Southern Kansas. We visited an antique shop and a couple of pawn shops. 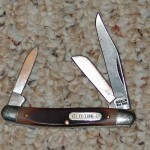 He found a Schrade Old Timer in the antique shop that he liked and the proprietor gave him a good deal on it. I thought about picking up one of the 2 Buck’s there, but changed my mind. 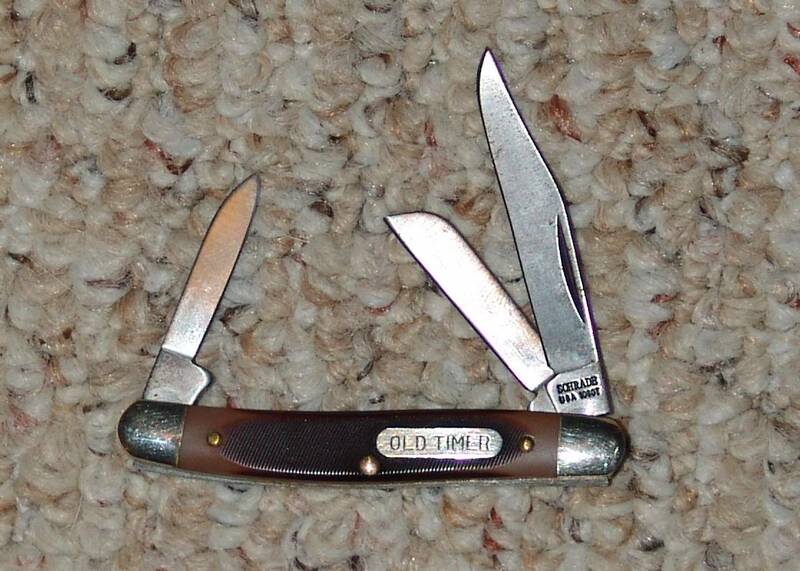 I did, however, score a great deal on a Schrade Old Timer with 3 blades at the first pawn shop, nabbing it for a song (much to my dad’s dismay). I asked if he’d take $5 for it. The owner screwed up his mouth a bit and said $8. Deal! Guess it never hurts to ask huh? The blades are sharp and the knife is in great shape. It just needs a little bit of cleaning up. That was just too good a deal to pass up. I really don’t know the value of any of these pocket knives, probably can’t really be measured. But I’ve caught my dad’s bug for them. I guess it’s due to my nostalgia for vintage these days and looking back to things lost. These knives were built to last, made in a time when you kept things and fixed them when they broke. Not like the throwaway world we live in now. 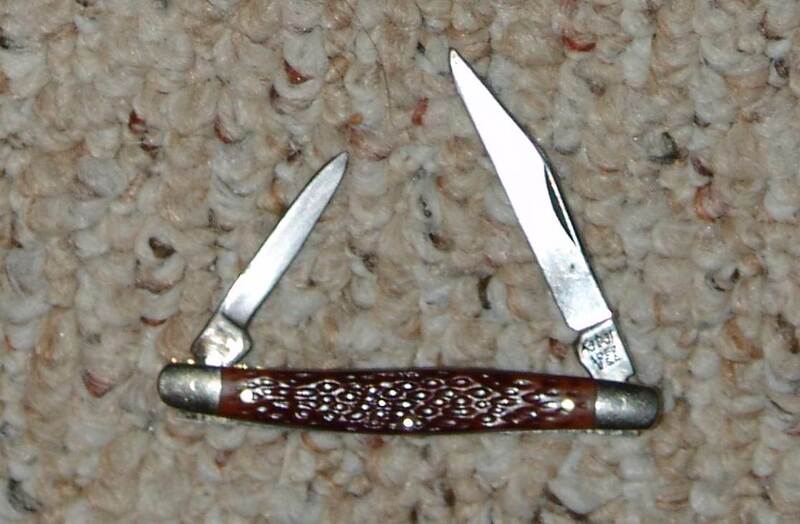 But there’s just something about these old knives, something about the look and feel of them. It’s almost like you can feel the history in them. 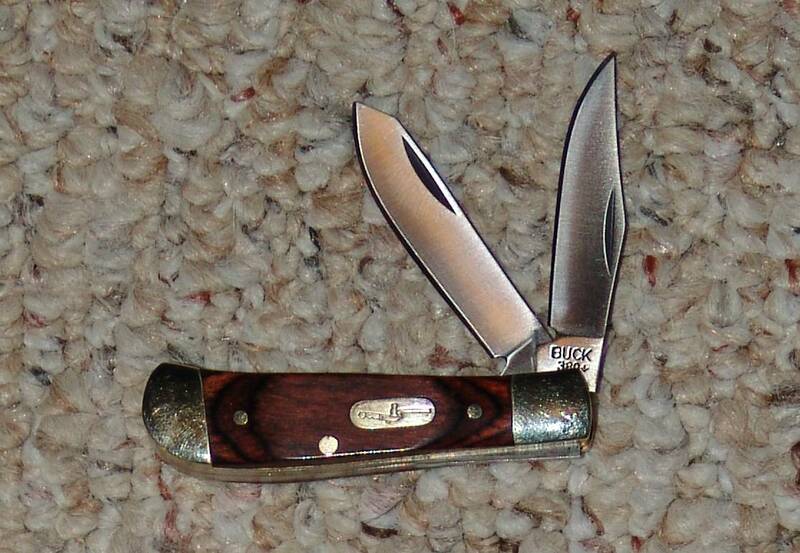 So how many of you carry a pocket knife out there? If you do, what kind?